I’ve been in love with yellow my whole life. I have such memories of my favorite summer dress as a child and it was a pale creamy yellow ground with yellow flowers all over it. I can still envision it in my head and I remember longing for it long after I outgrew it. 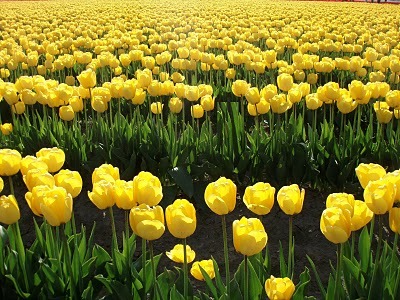 My favorite rose color – yup, yellow. I even had to get myself some yellow (ok…blonde) hair 15 years ago! Ok – it helped to cover the gray – but let’s not go there! 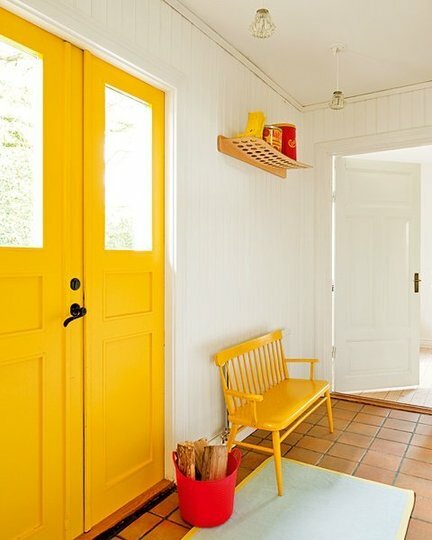 Splash yellow in your room for just the right amount of lift. It always adds a happy note. Who wouldn’t want to take a bath in the bathtub made by English company Catchpole and Rye above? 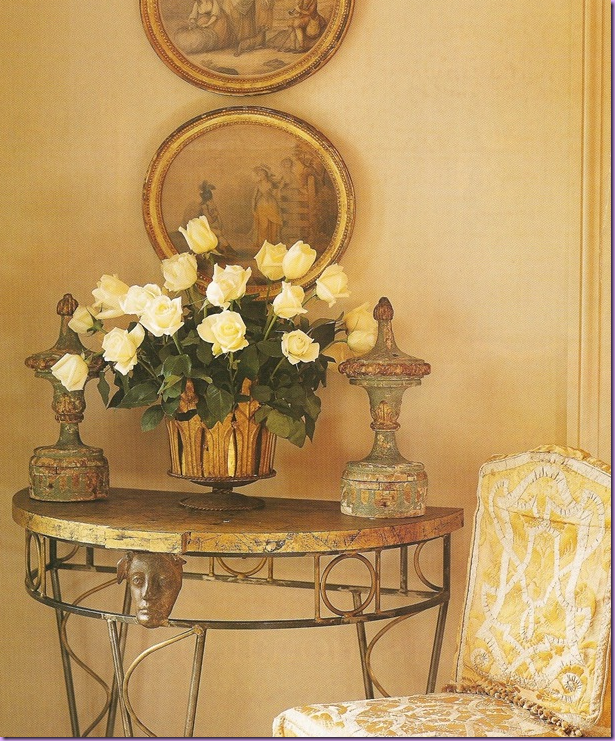 The mantle above comes alive with the bright yellow accessories and daffodils. 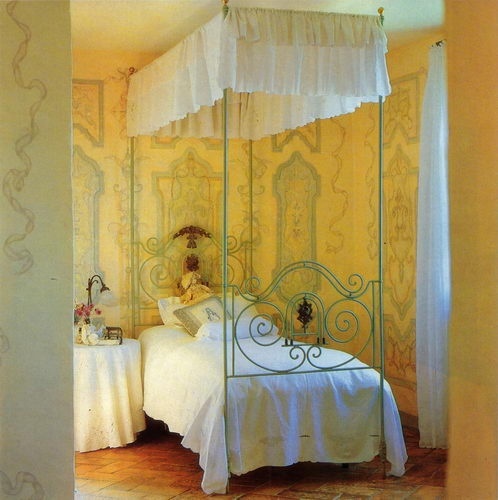 Imagine the room on the right via Martha Stewart without the yellow/gold artwork and other yellow accessories. It would be pretty boring! 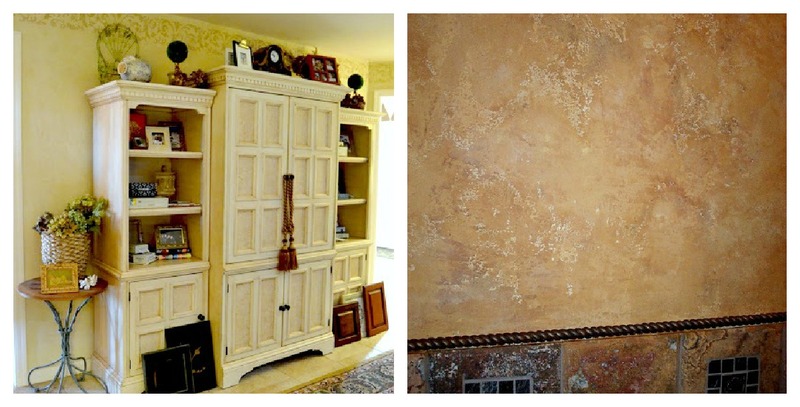 And finally, I will leave you with two different versions of yellow that I did – one in my office, a soft buttery yellow Venetian Plaster and a closeup of a Tuscan plaster that I did in a bath. The Venetian Plaster in my office is great because I have no windows in this room (only skylights) but the color, lightness and sheen from the walls help brighten the room! Hope you enjoyed this post about one of my favorite colors. 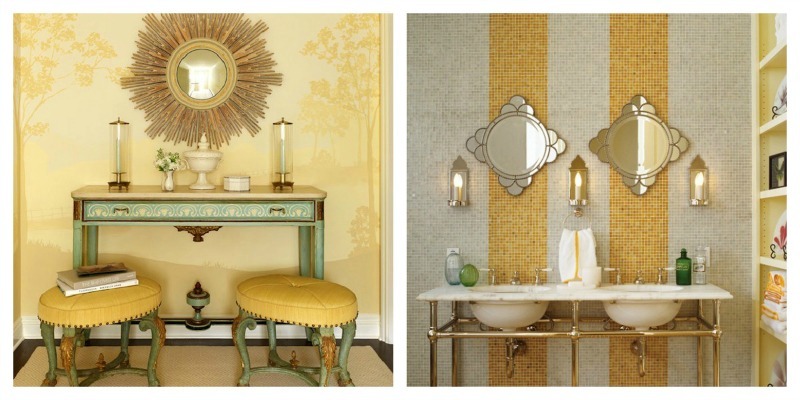 Have you used yellow lately in one of your rooms? Leave a comment and let me know! Color Roundup: Gray - There's More Than 50 Shades of It! 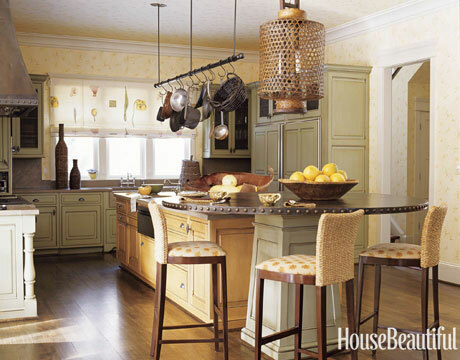 This entry was posted in Color Roundup and tagged Martha Stewart, the color yellow, using the color yellow in interior design, using yellow to brighten up your rooms, yellow rooms. Bookmark the permalink. 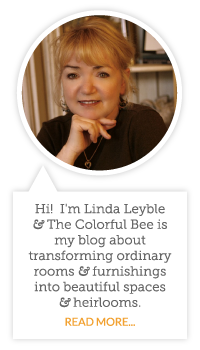 Love, love, love your blog..this color would brighten anyone’s spirits. Thanks for such great ideas! 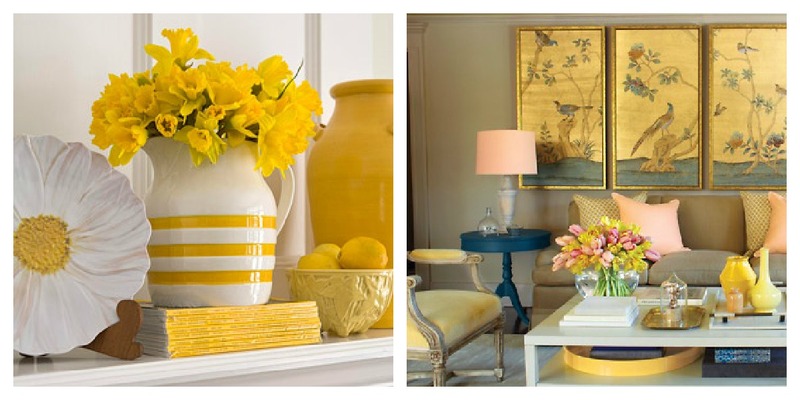 Janet W.
I didn’t expect that yellow will look great as the main color in decorating the house. It looks refreshing with white.